For those of you who may not be on our newsletter mailing list….take a look at our homepage….there is a sign up with a free gift of a 9 page Personalized Chakra Energy Assessment. This 140 question checklist is designed to expand your awareness of the connection of subtle energy, life experience and core beliefs. 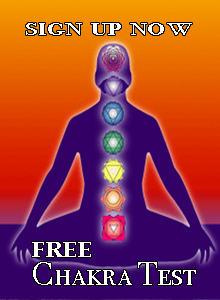 Through it you can begin to identify energetic imbalances and structure an approach to rebalance your system. The ability to honestly assess yourself begins a process of reclaiming personal power and taking charge of creating the life you desire. Is Your Heart Chakra Balanced?